At SolutionsPal, we create mobile applications that will blow your mind. 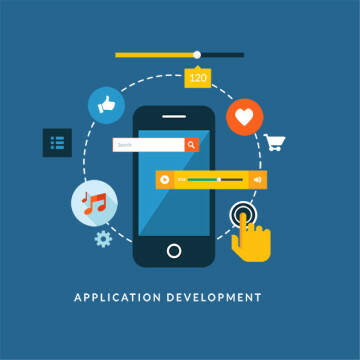 No matter how small or grand your app idea is, we can help you develop and integrate it into your website. We work on many of the major platforms including Apple iOS, Black Berry BB10, Android, and Windows. We enjoy working with small companies. The experience of helping a startup overcome new challenges and helping them generate new ideas really helps them set the directions and tone for their company. It sets them up for success. Therefore, we consider ourselves to be a partner in that regard, working hand in hand using our knowledge, experience and skill set to position you for online longevity. You encounter obstacles along the way, You need to know there is a team you can depend on. We are that team. We will help. You tackle whatever comes your way. Your company has to be mobile in today’s market. Failure to do this will cripple your success as most people spend a good portion of their day on a mobile device of some sort. We understand this market and what is required to make a mobile app effective, fluid and easy to use. Our understanding gives you the control you need to generate the best corporate app ideas that we can use to create something spectacular for your company. One of our strengths is problem solving. We take the time to understand the unique challenge and come up with a solution that solves it in the most effective manner. This works because our solution is tailor made to you. Your problem in a different scenario might require a different fix. We never approach resolution as “One Size Fits All,” because it never does in a business situation. The solution has to be as unique as you are if you want to experience continued success. We can be your best In-House solutions provider.